I put drinks in the cover, but this is not just drinks. In fact, it's half not drinks. I'm just not re-editing the image. 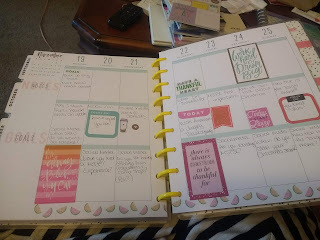 But it is that time of year that Starbucks has their holiday items, and in case you couldn't tell by my well-documented planner addiction, I have some very basic characteristics. I'm not basic - I once drove five hours to San Francisco because I was bored and had $300 - but I do have the tendencies of a basic person. I love Starbucks, and I love red cups. My addiction is getting worse. So, these are my favorite things at Starbucks this time of the year. So I'm starting this list with the one thing at Starbucks you can get all year round. You just can't get it with fun chocolate shavings in a red cup. I love coffee all day long, but sometimes, you just want to chill and feel cozy. Peppermint hot chocolate just hits the spot. This is my favorite thing at Starbucks ever. It's like a Thanksgiving sandwich, which is something I've wanted since the idea was planted in my brain by Psych way back in season 2. Sidebar, how was Psych season 2 ten years ago? I digress. It is a panini made with turkey, stuffing, cranberries, and a cranberry spread that's used like a condiment and it is the most delicious thing that ever existed. I will rage quit Starbucks and exclusively become a Peet's girl if they ever discontinue this sandwich. The Caramel Brulee Latte just hits the spot. It feels like a velvety, caramelly dessert drink. Even if I'm being cheap and just getting an iced coffee, I will get it with caramel brulee sauce. I feel like they changed the recipe a few years ago and it's not as good as it used to be, but I still love it as a holiday drink. If you can have a candy cane and chocolate cake be happily married on a stick, would you love to consume that beautiful dessert? If you're weird like my brother and don't like the combination of chocolate and peppermint, then no, but I already lost you at peppermint hot chocolate. For those of us with more refined dessert tastes, peppermint brownie cake pops are simply delectable and it's a shame they're so tiny. These are my favorite holiday items to get at Starbucks. Do you have favorites? 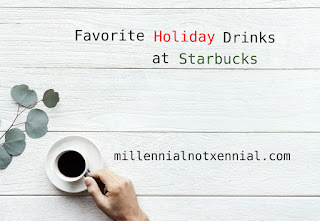 Do you have holiday favorites from not-Starbucks? Let me know!